Hello lovelies! I hope you've all had a great start to the week, mine's been pretty busy with work and life and it doesn't look like that's going to stop anytime soon. Darren and I are going to go out for dinner tonight, which is a bit of a last minute plan, I have work and my Grandparents over tomorrow and then my Dad's birthday on Friday and goodness knows what else! But it's nice busy things so it's all good! Anyway, I've wanted to do this post for a few days, as my watch arrived a little while ago but I had to get it adjusted and didn't want to ruin the pretty photos with a watch that was falling off my wrist! The whole idea behind this post is 'Rose Gold on a Budget'. This is because we all see rose gold floating around the blogiverse and it's all Michael Kors this and Marc Jacobs that - and all the gorgeous high end brands are all well and good, but what about us everyday girls who just can't justify a casual £200 plus spend on a watch or piece of jewellery? That said, if I'm going to wear rose gold, I want it to look cute and not cheapy. What some of you might not know is that alongside working at the salon, I also do a couple of days working for the jewellery company that stocks topshop, dorothy perkins, matalan and some other stores, so I actually get a monthly jewellery allowance and so I decided to make it my mission to find great quality, cute rose gold pieces on the highstreet for prices that won't make your bank account weep. I found this super cute bunny necklace in Dorothy Perkins today and I'll let you in on a little secret, this was originally going to be a Rose Gold on a Budget 'arm candy' type post, but I had to have this adorable little bunny so he hijacked the post. I'm sure you'll all forgive him. Even though this was only £5, I don't actually think it looks that cheap at all. I think the quality of highstreet jewellery can be really fantastic for the price, especially if you're one to change up your jewellery a lot. The chain on this necklace is nice quality which I like, a bad chain can really cheapen a necklace, but this one is lovely. Onto the star of the show, my new love, the Missguided Mis Chronograph watch! I mentioned this in a wishlist a little while ago, and even though in said wishlist, I preached waiting a few days to decide whether or not to buy something, I actually went ahead and bought it that evening! It was only £16.99 though, so not breaking the bank. I just can't justify an expensive watch, as much as I love them, I just forget to wear it enough! This watch is fab quality, particularly as it was only £16.99. It's a semi-matte rose gold, which I like as I don't do shiny watches, they feel P-Diddy and I'm far too blonde and British for any of that. I love that every other number is replaced with a cross, peace symbol or heart. It makes it a lot more girly and fun - you don't get those on a Michael Kors! Then to accompany my watch, I have two lovely bracelets. The spikey one is actually on sale in Dorothy Perkins now, so definitely worth a peek if you like it! I love spike bracelets and I have several colours/ types/ metals but this is my favourite by far. I love how it looks with the watch as this one is a shiny metal, so it mixes it up a bit. Then finally, my other little rose gold pet, my gecko bracelet! The excitement when I saw this was nothing short of childish hysterics. For some reason, jewellery with little lizards on it makes me squeal with delight, I don't know if its the fact he looks like he's climbing across my arm (though if this happened in real life, it'd be an entirely different sort of hysterical), or the fact that he's covered in little rhinestones, but either way, I love him and I love him even more now as he looks so fab with my watch! So that's it, bit of a random post, but I just wanted to share my finding with you all! Let me know what you think, would you wear any of these pieces? 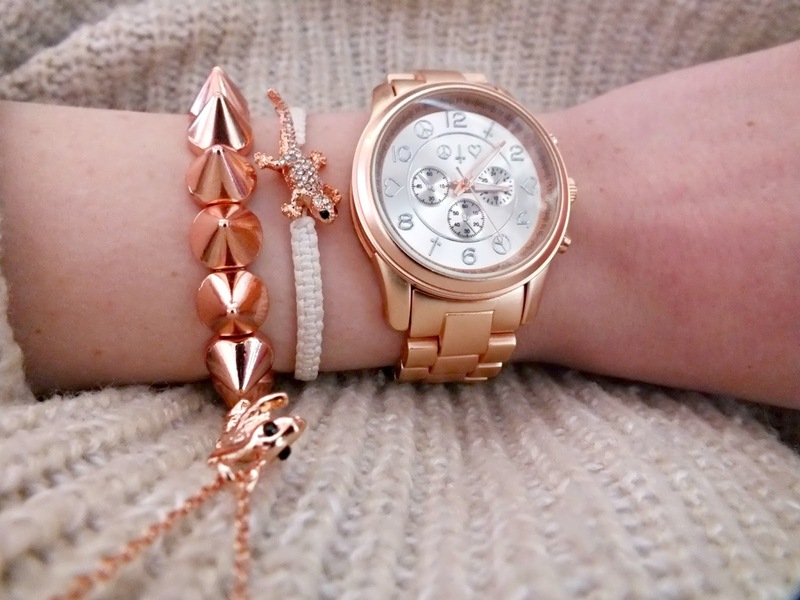 Lovely blog though and definitely shows you can wear rose gold and not make it look tacky! Love all these things!! 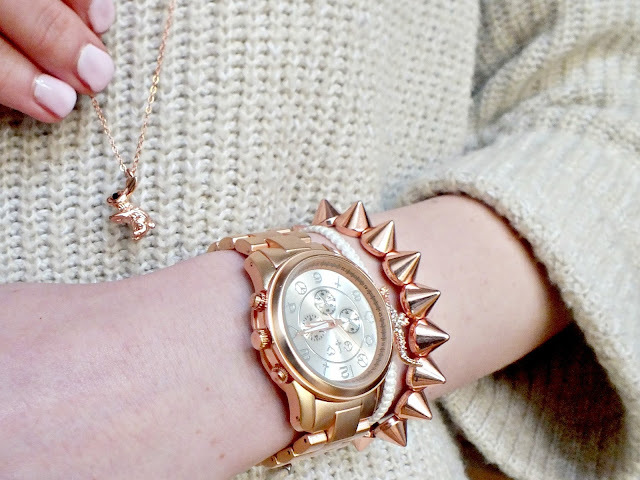 The studded bracelet and bunny necklace are particularly cute. Great post, I'm so obsessed with rose gold. I love rose gold jewellery at the moment! These pieces are sooo pretty I love the watch and the spike bracelet! I love how everything goes together! That watch is gorgeous and a bargain at £16.99! I'd love a rose gold Michael Kors but I agree, the price tag is a bit ridiculous. 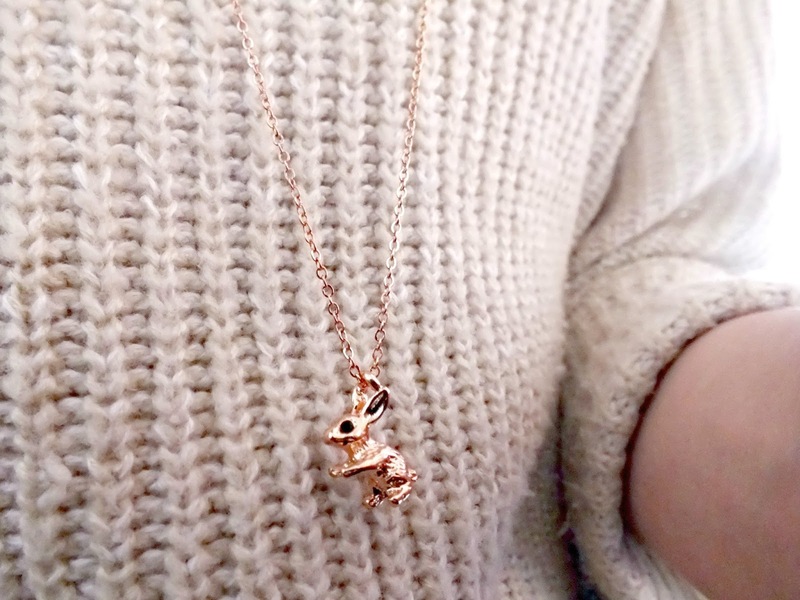 I love the bunny necklace, so so cute! I am loving Missguideds watch collection! LOVE rose gold so much! 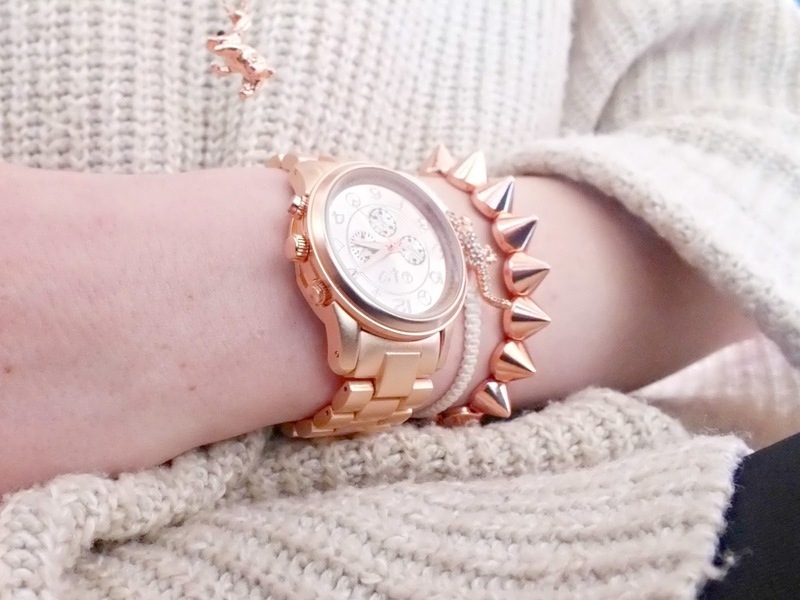 that watch is fantastic - i've been obsessed with my spike bracelets for a while now, they give such a cool edgy look! 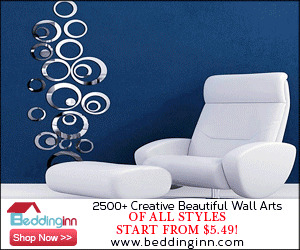 These all look so lovely on you! Love this watch, can't belive it's from Missguided! i'm catching up with your posts & as i'd clicked on this one i went "ooh she got the watch from her wish list!" I love it & think it's a great alternative to Michael Kors! Up until I started my job a year ago I never really wore watches but now I couldn't be without one - I've got a blue glittery Swatch one and absolutely adore it (despite having a scratch within a day of getting it oops!). The spike bracelet is completely me and I definitely need to take a look to see if my local store has it! I totally agree about being hysterical should a gecko actually crawl across my arm!!! That spike bracelet is lovely and such a bargain! Great post! I love rose gold so much, I just did a post on it also! Spike bracelet is awesome. Can i buy this bracelet online. Love that bracelet...its so pretty :) Thanks for sharing.